Our caps are venting so the normal overflow and vent lines on the motorcycle are no longer used. 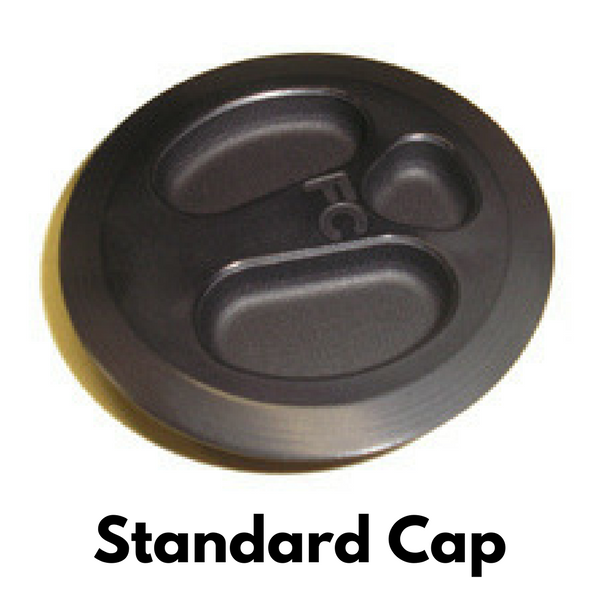 The Standard Cap is our proprietary quick release 1/8 turn billet aluminum cap that ships with your tank. 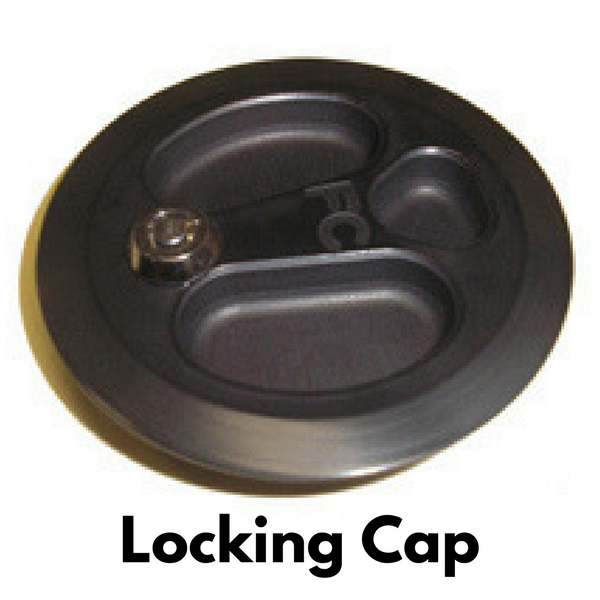 The Locking Cap comes with a lock and two keys. If you’ve decided you want a lock for the standard cap, we can install a lock for you. We have updated our cap design so when ordering caps be sure to check your tanks bezel to know which version of cap retainer to get. See pictures below for more info. 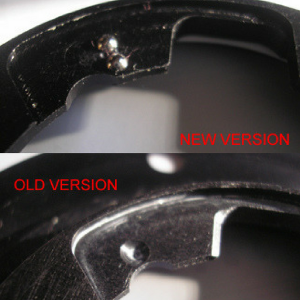 The new version has two small bearings as seen in the picture above. The old version has a single small divot as seen in the picture above. The bearings or divot are located on the underside of the bezel and in two locations opposite one another. You should be able to feel with a finger to know which version you have. **If you have the old style fiberglass bar on your cap and it needs to be repaired, but you do not need a new cap in whole, please contact us as this is UNDER WARRANTY.